Learning Dark Arts: January 2nd to 6th, 2007. Come learn the art of 3D computer generated art and animation. This blog deals with the lessons learned and the art created by Robert G. Male using DazStudio from Daz3D. Also covered are the ancillary software, tools, techniques, and processes needed both before and after rendering in the 3D software. Finally, there are random musings about art in general. To follow up on yesterday I went ahead and checked my Spam Folder, and I added two addresses from Daz to my white list, and I checked to make sure that in my profile for Daz that I was signed up for the weekly email. I was signed up, and it appears I missed about five freebies. So that also answers the question that they are still being archived. This means I have no idea why the mail stopped, though I must admit the way my spam piles up in the discard folder maybe I didn’t have enough days there to catch the trashed newsletter. Some one has told me something else to try. I thought it might be a good to repeat what Dave-so so graciously said in my comments yesterday… “I also wrote to their customer service and was told to uncheck the newsletter requests..then go back in and recheck them.” I’m going to try that and see what happens. As to what I was missing, well there was a nice set of about five different sets that look like they would go very well together to form a pretty fancy cathedral, or castle, as well as perhaps nice large pieces of the surrounding structures. They look like very good sets out of which to form something cohesive. The cityscape and building-front potential with which to form scenes out of in Daz is something that hasn’t escaped me, or my imagination. The tableaux I could fashion are pretty mouth watering to say the least. I could apply them to my RPGing, or as inspiration for my writing, or just to show off and inspire other people. Tags: castle, cathedral, cities, cityscape, freebies, surroundings. Today I was wondering whatever happened to the regular stream of messages I had been getting from Daz. Nearly all of the “stuphf” I have for Daz came from the freebies. Now I can understand if the discontinued the freebies, but I find it odd that I’m not get the messages with the newest and hottest products for the program. I guess I’ll have to check the spam folder for my email, and see if Daz is still in my white list. I should also maybe go to the website and see if I’m missing something because if it turns out there is a bunch of stuff (and I don’t know there will be, given they turned it to download at the time, away from the former model of archiving it) then I definitely got cut off somehow. Tags: Aiko, Daz3D, Michael, outfit, pwGhost, Victoria. I think I should point out something given the wonderful comment I received on yesterday’s blog. A book cover on a published book is an honour certainly, but mine may be tainted by the fact that not only did I create the front and back covers for the book, but I also wrote the book. That is an achievement as well and one that I won’t knock no matter who the publisher is. This brings me to the final point, and the damning one, not only did I create the cover, and write the book, but I also published it through my own company. It’s available on my website, which for reasons of decency, never mind possible Artzone policy, I won’t link here. I’m only a Google away. 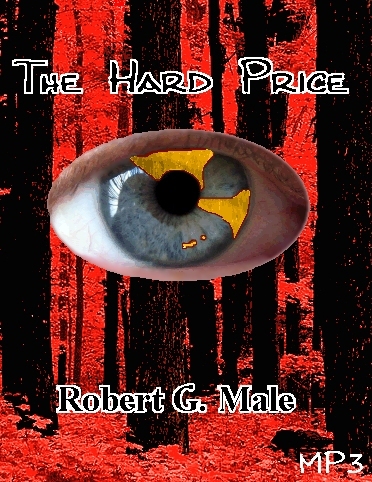 As some have probably noticed, my cover for "The Hard Price" says MP3 on it in the corner. Yes, another book of mine, though this time it’s an audio book. Not even a book really, it’s only a single story that is about forty plus minutes in length. It’s not available just yet, and as an enticement, an example of what my writing is made of, it will be available for free. I first need a bit of time to compose and record the music for the end piece. Yes, music composition too. Or what passes for it. I downloaded a piece of shareware where you assign an instrument and then plunk down notes. I’m only dealing with less than twenty seconds of music—two pieces of that length actually—and it’s pretty basic other than the fact that you can layer on different instruments or even the same one but different notes. It’s what you have to do when every aspect of creation is yours alone and you don’t have money to licence a piece of music, or a cover artist. Tags: books, composer, covers, music, recording. Today I thought that I might talk a little bit about my cover for "Cast What You Will, Get What You Deserve" in my gallery. I must say that the thumbnail doesn’t do it justice. When I set out to make a cover for that book I thought that I should start off with an image that was undeniably tied to the general idea of casting a spell. 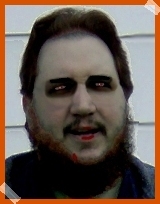 Then I needed something to cover the other aspect of the book, which was reaping what you sowed. The images thus came to me as you can see them in the artwork. Something else that I had in mind was a particular look and feel, one that harkened back to the “pulp” age. I think that I well achieved that with a purposely lurid look with the colours, and a kind of retro-ugliness to it. This wasn’t a Martian or demon attacking a buxom woman sort of pulp style but more of a, dare I say it, trashy, low budget kind. Some people sneer at anything that isn’t all slick, homogenized, and hypoglycaemic, but I’m not one of them. In any event I was setting up a certain mood with the cover to get the reader in the mood. I won’t scoff at reviews of lurid or trashy, and I actually hope for comments of nasty, vicious, and cruel from some quarters. Tags: books, covers, lurid, pulp, retro. This year I thought that I would do something different. Rather than just mirroring my “professional” blog here I thought I might write a daily or every-other-day sort of blog to just talk about whatever. What I’m working on, what I’m fiddling with, and just those sorts of things. So here I am. Today I’m working on blogs and then I am going to work on fixing up a mess of movie reviews for a site of mine. I also intend to put some of my book covers up here in my Artzone space. Check them out. "Cast What You Will, Get What You Deserve"